Gottfried Lindauer, also known as Gottfried or Bohumir Lindaur (5 January 1839 – 13 June 1926) was a New Zealand artist of Czech descent famous for his portraits. 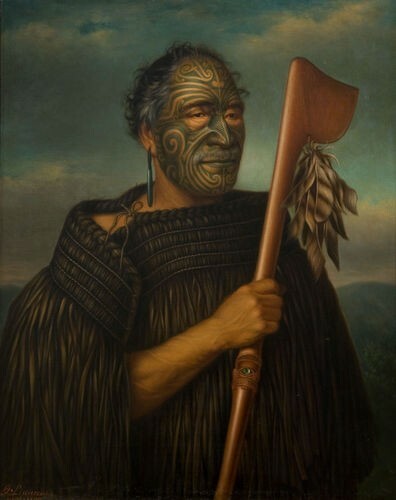 Many prominent Māori chiefs commissioned his work, which accurately records their facial tattoos, clothing, ornaments and weapons. The other artist known for these portraits was C. F. Goldie. Lindauer is buried in the Old Gorge cemetery in Woodville.